What better excuse is there for a couple to take a weekend getaway than Valentine’s Day? And it comes at just the right time. This deep into winter, everyone’s ready for a change of scenery to fend off cabin fever. 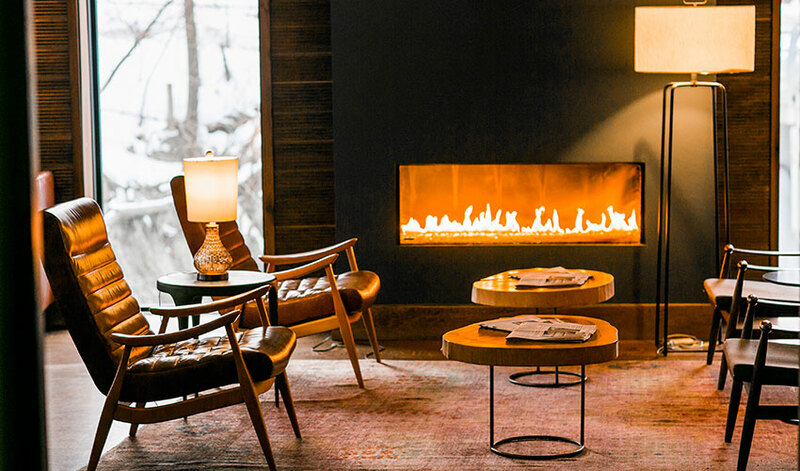 Swap the local restaurant crowds for a cozy escape at one of these dreamy inns. Each is close enough for a weekend trip. (Since Feb. 14 falls on a Wednesday this year, there are two “Valentine’s Day weekends” to choose from.) 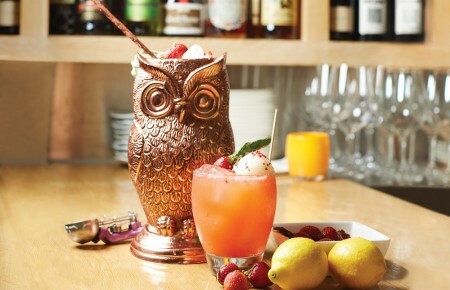 Plus, sources say these are usually pretty good bets for last-minute reservations. 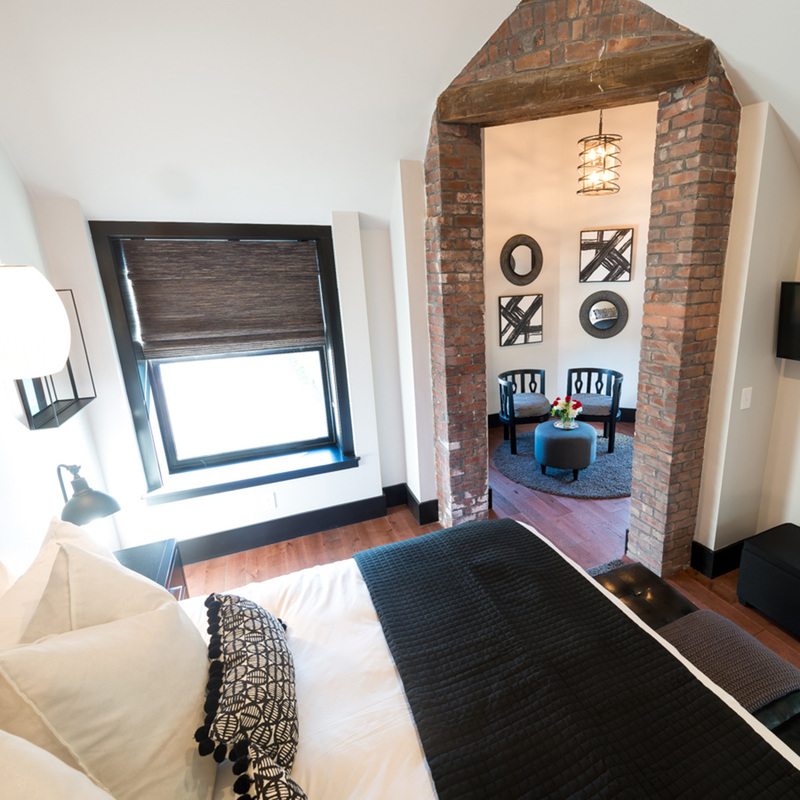 A former factory that was abandoned for years, The Roundhouse was fully restored and turned into industrial-chic, yet winningly homey lodging by a local family. Rooms overlook Beacon Waterfall and Fishkill Creek (so pretty!). 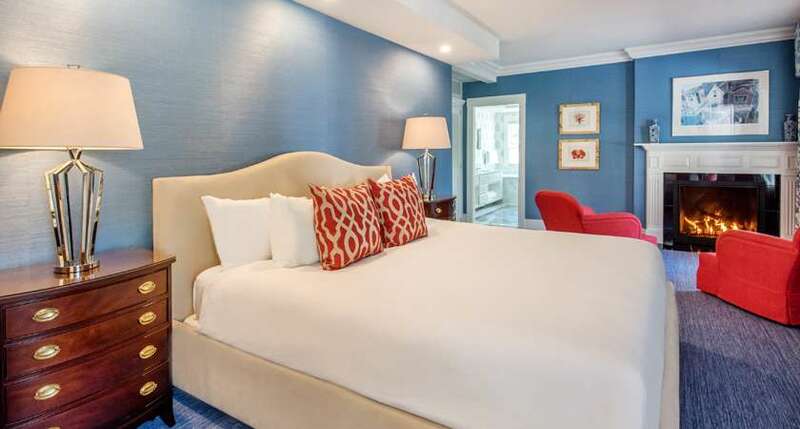 And given the purpose of this visit, it makes sense to spring for one of the two penthouse suites: The king bed is outfitted with luxury linens and a marshmallow-ly alpaca blanket. 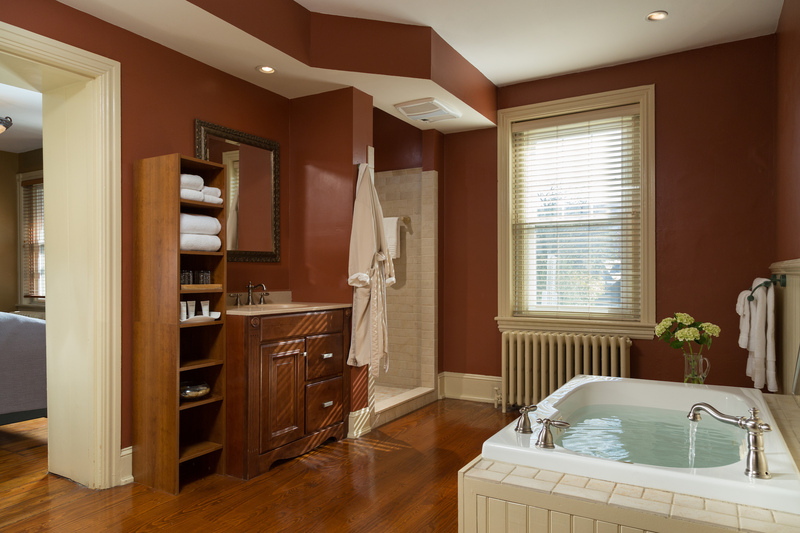 A round soaker tub is at the foot of the bed, and the shower is sized for two with double rain shower heads. The bathroom also boasts a clerestory window and a hand-blown glass chandelier. Part of the historic building houses an American restaurant of the same name, which gets 90 percent of all it serves from the surrounding Hudson Valley. The charming village includes many boutiques, antique stores and art galleries. It’s a short drive to the Culinary Institute of America, the FDR historic site and the Walkway Over the Hudson, the world’s longest pedestrian bridge. Hand-holding encouraged. This circa 1858 elegant manor house is offering a lovers getaway package that includes a dinner for two at a local restaurant with a round-trip limo ride, a stay in a deluxe king room, a dozen roses, bubbly and room-service breakfast. As tempting as that may sound, though, don’t spend too much time inside. Bethlehem is home to 20 historic buildings and museums that go as far back as the 18th century. A big draw is the Moravian Book Shop on Main Street. It’s the oldest continuously operating bookseller in the United States—probably the world, though it’s debated—opening its doors in 1745. Aside from (lots and lots) of books, it has a gourmet candy counter and sells every incarnation of a Moravian star imaginable. Whether traveling duos have been together 30 years, or this weekend is their first overnight trip together, Sayre Mansion is a memorable place to celebrate Valentine’s Day. A bespoke experience awaits couples who spend an amorous weekend at Grace White. 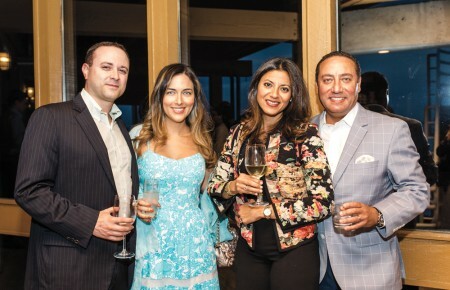 When booking, guests can choose from a long list of personalized experiences that will be all set upon arrival. A few of the most enticing ones for this time of year: a wine and cheese pairing class in the wine cellar; private cooking lessons with the executive chef; a mixology lesson (and obligatory imbibing, of course); and a spa date night, the setting of which is a private couple’s spa suite, laid out with canapés, chocolate covered strawberries and sparkling wine. All couples, no matter what experiences they select to fill their days, can enjoy a special Valentine’s dinner at the onsite restaurant, set off by live piano music, candlelight and a long-stemmed rose. The chef-curated, three-course dinner includes main dishes such as 24-hour pork belly with pork consommé, handmade lobster tortellini and roasted duck breast with red wine poached figs and a vanilla parsnip purée. The most popular dessert is chocolate soufflé with housemade vanilla bean ice cream. Two spoons, please! This Georgian Mansion was built in 1895. It has 18 guests rooms, each decorated differently, but all with exquisite antiques. The suites feature fireplaces and whirlpool tubs. Breakfast, included, is served in the sunroom. In downtown Easton sits the Easton Public Market—Lehigh Valley’s answer to Chelsea Market. It’s a worthwhile stop to grab a just-made crepe, a hot, flaky chicken pot pie or an artisan chocolate treat. Take a drive around the countryside to see one, some, or all of the seven covered bridges in Lehigh Valley. If it’s nice out, pop into the Lehigh Valley Zoo (it’s open year round). The Lehigh Wine Trail—consisting of eight family-owned wineries—has won many top awards, especially for wines made from Chambourcin, the region’s signature (red) grape. Those who prefer a small winery with a really personal tasting experience might check out Galen Glen. A stay at the quiet, elegant Lafayette Inn can make for a Valentine’s Day weekend to remember. Newly opened in September 2017, the Firehouse Inn has only five guest rooms. Each has spa-like en suites. (Despite the small number of rooms, guests do have their own private bathroom, and a beautiful one at that.) This boutique inn was formerly the 1888 Newport Fire Department headquarters, which means it is located smack in the middle of downtown Newport on Thames Street, right on the harbor. The location really couldn’t be better. Breakfast is served daily inside the inn’s gourmet kitchen. In-room spa services are available. After that couple’s massage, consider heading over to the Jane Pickens theatre for a show, then capping the night off with dancing at the Newport Blues Café. Or tour The Breakers and the other famed Gilded-age mansions, less than 10 minutes away by car. 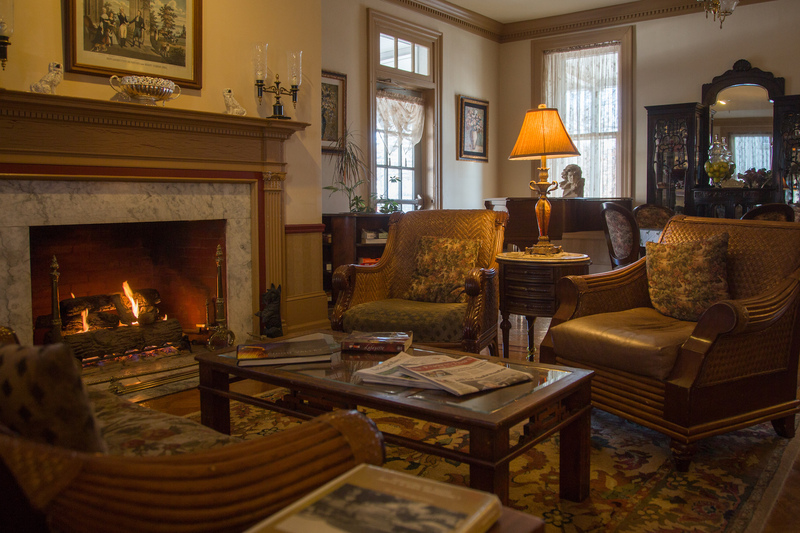 The Firehouse Inn is an intimate spot to soak up the romance of a February vacation.